We excecuted many of the grant activities in 2014. 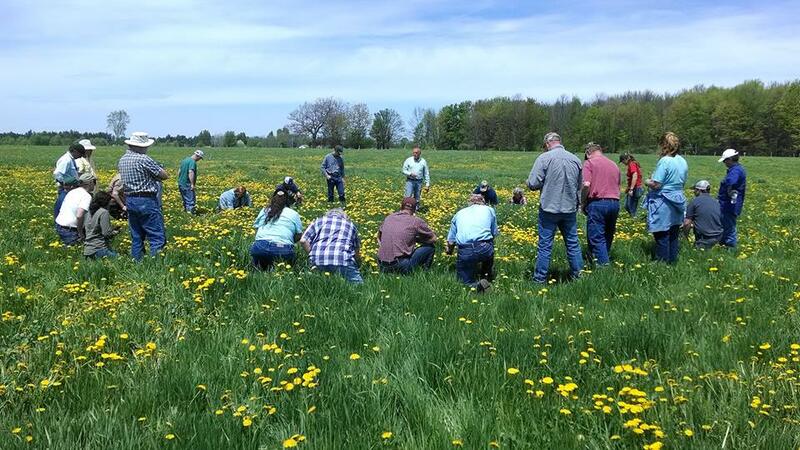 First, last spring, we conducted a producer focus group to glean more of their thoughts on grass finishing combined with their thoughts on the grant thus far. 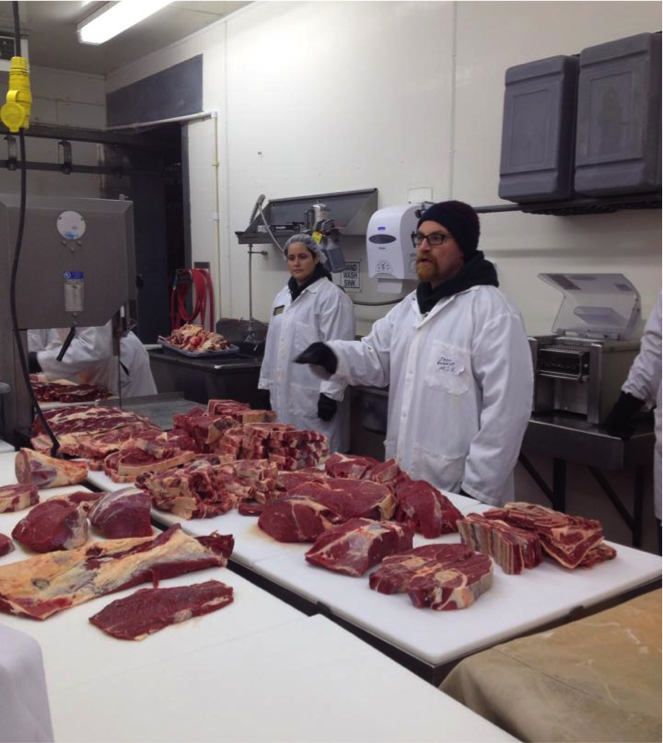 After this we convened at our cooperating packer, Ebels General Store where we conducted education and demonstration on beef grading and carcass breakdown. Importantly, producers learned to identify quality grades in carcasses and we also demonstrated how to break the chuck down into different value cuts. In May of 2014, we conducted a grass finishing school. The school was hosted by MSU Extension and we also invited our colleague Jim Gerrish to help teach the school. In August, we conducted one pasture walk at a cooperating producer and we also conducted our biannual field day. During the field day, we showcased grass finishing and we had a very interesting lunch round table. The roundtable consisted of Mark Ebels, our packer/processor collaborator, Todd Churchill, Thousand Hills Cattle Co and Blaine Hitzfield, a grass-fed beef purchaser in Indiana. We had a great discussion on the challenges of purchasing and marketing grass-fed beef, over 100 were in attendance. This fall, we conducted a focus group with cooperating distributor, Cherry Capital, small processors and culinary in the Northwest MI area. After the focus group, we did an innovative beef cutout demo on breaking down the chuck into different value cuts like the flatiron, denver and sierra cuts of beef. During 2014, we also expedited the mini-grant program where we distributed grant funds for on-farm improvements of our producers. We also conducted a great deal of work on our grazing ap which will be ready to beta-test in Spring of 2015. First, we gleaned much information out of the initial producer focus group and have an accepted manuscript (in print) to the Journal of Extension documenting the focus group meeting. While we expected the producers to talk about the beef industry, the discussion actually led to extension education. Producers certainly appreciated the education we provided, however, they most appreciated the fact that we convened them. The cohort indicated they actually learned as much or more from each other versus from Extension. Thus moving forward there is certainly room for us to reconsider our educational approaches. Specifically, less lecture type environments and more ‘discussion’ type models could be more influentional in the future. Second, we have one manuscript prepared from the culinary focus group held this past fall. The discussion’s outcomes was split into three categories: consistency in availability and quality, infrastructure for small processors to move beef and education. A major discussion point was that while culinary wanted to get grass-finished beef through the year, due to seasonality this was very difficult. Also, because of the small nature of the system, having ample processing and storage was also identified as a bottleneck. In addition to participant perceived barriers, we found that the participants themselves had many incorrect assumptions about grass-fed beef, illuminating the need to improve practioner’s understanding of the product they sell. Participants did not know the definition of grass-fed or grass-finished beef, as well as other marketing terminology such as antibiotic free or wet-aged beef. Additionally, participants did not understand the possible quality outcomes of grass-fed or grass-finished beef. This lack of understanding of the products they sell poses many barriers to the success of the local grass-fed beef market in northwest Michigan. Distributors, restaurants, and retailers may be incorrectly representing the farmers who raise the meat, and misinforming their customers about the products they have for sale. Since grass-fed and finished beef products have specific characteristics that distinguish it from other beef products, it is important that those selling the product understand the unique attributes and accurately describe the product to their customers. We too have been finalizing a manuscript using the date accumulated from the grass finishing component of the project. Essentially we took the performance data and merged it with other emission monitoring to develop a partial life cycle analysis of a grass finished beef production system. We too have an accepted abstract in the Joint Animal Science National Meetings in Orlando, Fl. Ultimately, our data indicate that if we can sequester 2 mT/CO2/ha/yr we can produce beef with a neutral carbon footprint, any more sequestration and the entire system is a sink. Thanks for all you guys have done, you have done a great job! Always enjoy sharing time with this group of like-minded folks. I so appreciate our time together as it always boosts my energy and rejuvenates my resolve! It is great to have a partner who is helping to get us educated and get a good start from the ground up. We won’t have to learn from our mistakes as often because of the education we are gaining from other farms in the group and from MSU. Looking forward to more training opportunities. Have enjoyed this program and all your kindness and professionalism! Thank you sincerely.